FROST VALLEY COTTAGE - (Y00044) 1400 SQ. FT. 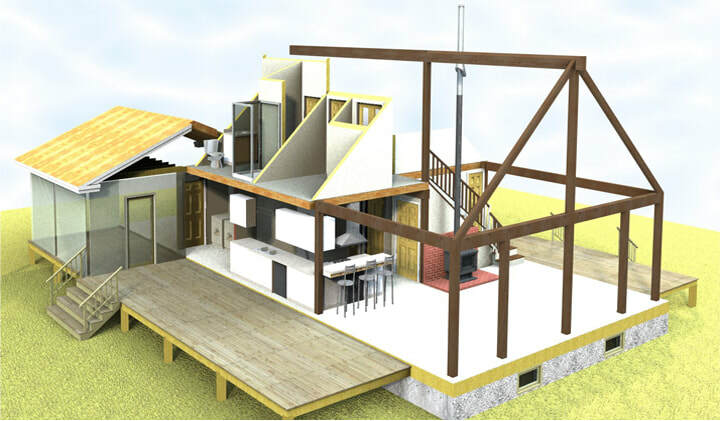 This post and beam cottage home was designed to make the most of a small footprint. 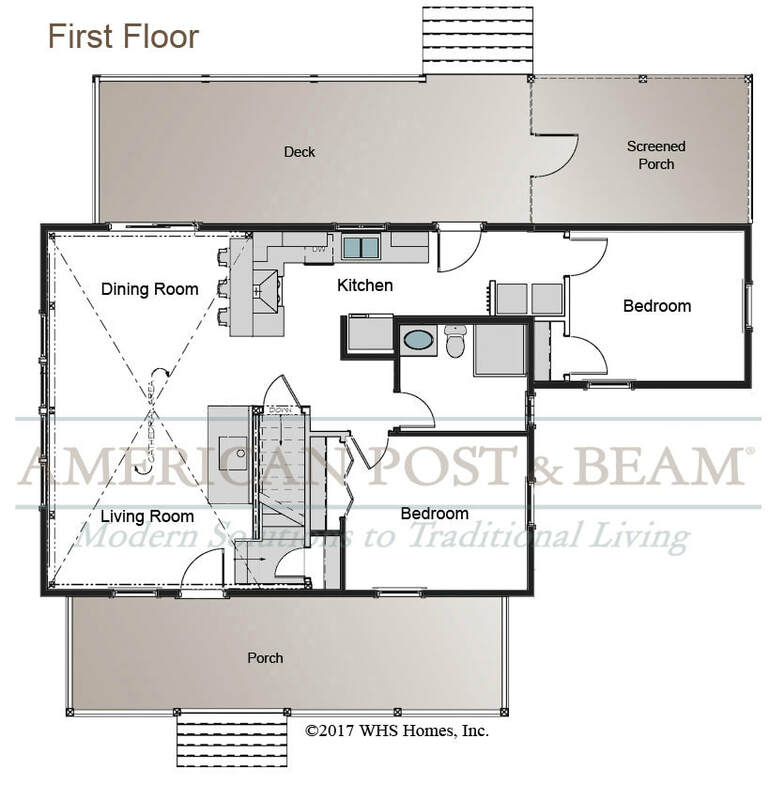 2 Bedrooms and an open living, kitchen and dining are found on the first floor. 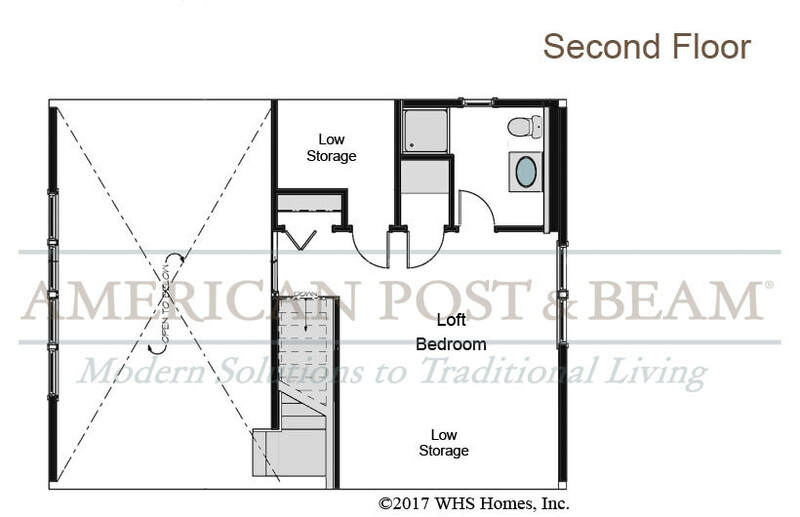 The second floor includes storage, a bathroom and loft, which could be used as an additional bedroom, office or library.